Posted on June 1, 2018 at 8:50 am. First day of winter and the sun is shining and the sky is blue. The camellias are showing off …. sasanquas in flower and the japonicas and hybrids and starting to flower. Our ‘open to the public’ days are the opportunity for you to visit, wander our garden, and a chance to buy some for yours. Whether you want one plant or a hundred, we are happy for you to visit. We can give advice and help with your selection. We will even do a soil test for you if you need to check your pH. Just bring in a small handful of soil from your planting spot. We have a range of sasanqua for the sun … about 40 different varieties, and japonicas, hybrids and species for part shade .. about 140 varieties..
Come for a drive … it is going to be a great weekend. We are also available by appointment. Check this site for details. 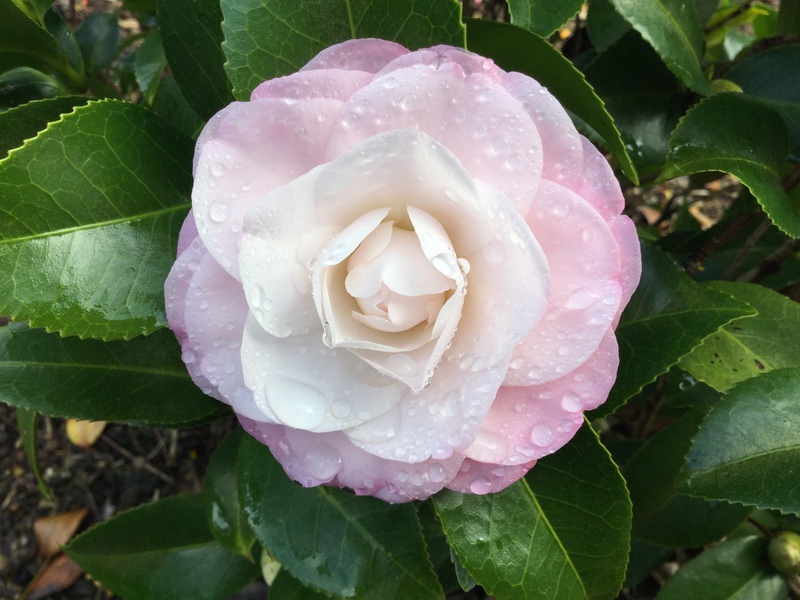 This is Camellia japonica Vale Beauty …. flowering now. Start with sasanquas. These will take full sun for us but you are far more ‘tropical’. We do not mail order.